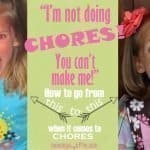 So, your child is begging for a dog or a cat and somewhere between the unfolded laundry and the piling dishes you are imagining the accidents, the chewing, the barking, and the scratching. Now, no one is arguing that dogs and cats aren’t worth the work, just that they can be a lot of it. 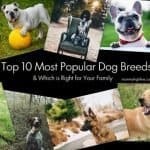 Maybe a small pet is the right starter pet for your family. When your child sets his or her mind to something it can sometimes feel like a hostage negotiation where you’re the hostage and the negotiator. So, let’s talk small starter pets. Sure, they’re extra work as well, but their area is contained, you don’t have to wake up in the middle of the night to take them out. It will help fulfill your child’s desire for an animal friend until you really are ready for the bigger responsibility. 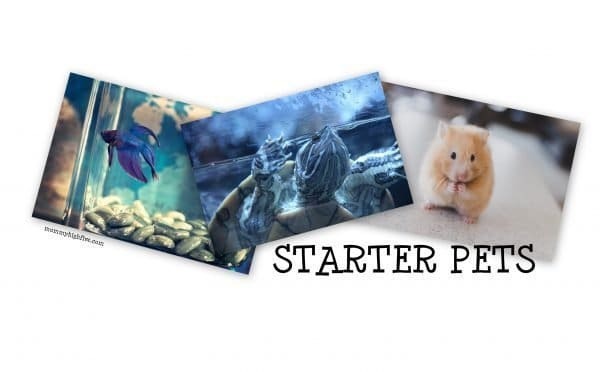 Below are the top 3 good small starter pets in my humble opinion, along with recommendations for excellent starter kits. So, this seems like an obvious first pick, but honestly, aquariums and fish can range from a simple first pet to an extraordinary and involved hobby and career. For a starter pet, I recommend a freshwater fish that can withstand some beginner fumbles. A starter fish should be fun to watch and stay small enough to live comfortably in a countertop tank. It should make a minimal amount of waste so that your cleaning and maintenance doesn’t take up too much of your time. My personal favorite starter fish to watch are Siamese Fighting Fish, also known as the Betta. While their name invokes the idea that they are aggressive in nature, they do well alone and are only aggressive when they are threatened territorially. When it comes to this animal, two by two is not the best idea. But, purchase one solo fish, and you’ll have a beautiful new member of the family that is fun, easy, and contained. 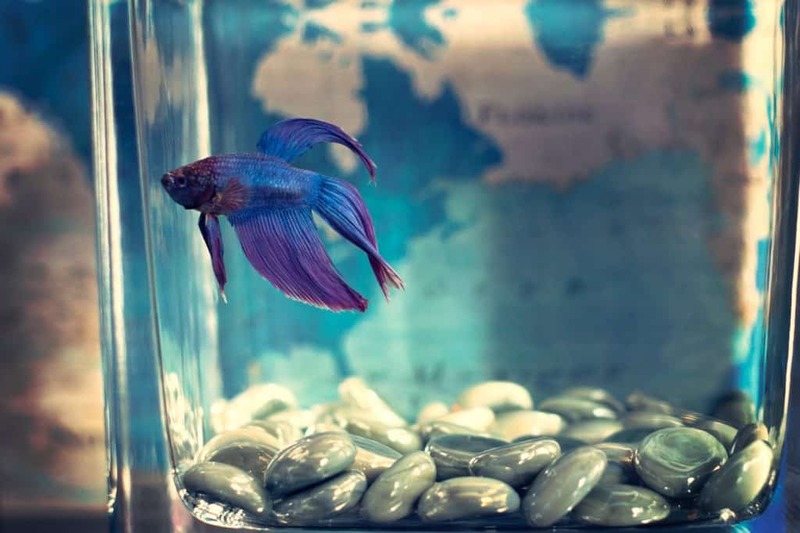 You can expect a Betta fish to live 2-3 years in the ideal environment. 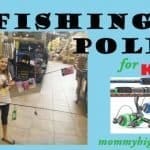 Even though we have a dog, my husband and I plan on getting a fish for our daughter for her upcoming birthday. 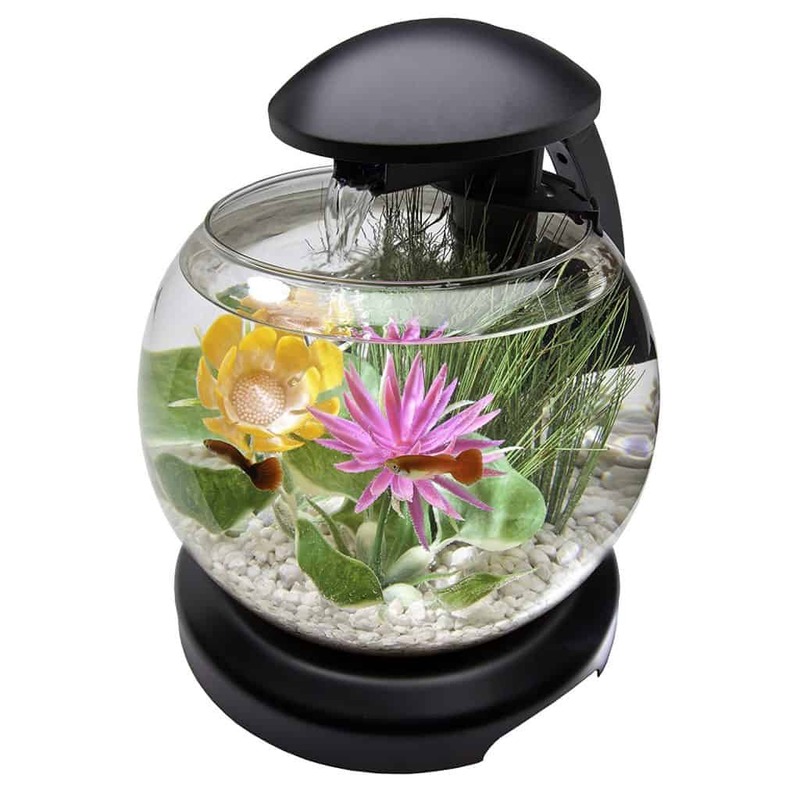 The kit we’ve decided on is the Tetra(R) Waterfall Globe Aquarium Kit. If it’s going on my kitchen counter, it has to be cute, and the retro globe shape and low voltage LEDs makes it cute and affordable to run. Tetra is a reputable brand that even offers an app to remind you when to change filters, water, etc. Some rocks, plants, decorations and one cute fish and we’ll have ourselves a happy little girl. For more information and for a guide to have your children read, I recommend “The Aquarium Care of Bettas” from the Animal Planet Pet Care Library. It can be purchased in a hardcover copy, or for their kindle. Hello adorable furry little creature. Look at the little fingers. I can’t even. The Hamster is easily my favorite of all fuzzy starter pets. 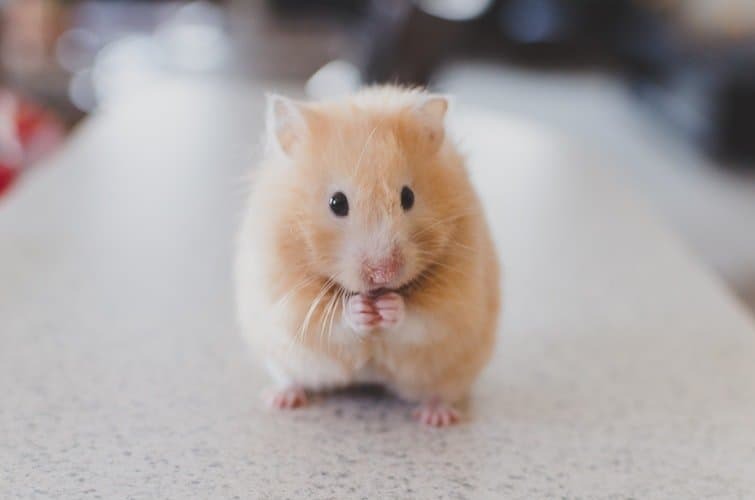 Between the cute factor and the mischievous personality, hamsters are a great starter pet for older children. Why older children? Did you know hamsters are nocturnal? Yep, put them in your little one’s room and they’ll hear running on that tiny wheel all night long. If your son or daughter is a light sleeper, it may be best to keep this pet where it won’t interrupt anyone’s sleep with its nightly antics. Hamsters require food, water, and regular bedding changes. A few minutes of handling in the morning and at night is all hamsters need as long as they have ways to play in their regular environment. They do great alone, and unless you want lots of baby hamsters (hamsters’ gestational period is only 2 weeks long! Jealous, right? ), might be best to keep them that way! 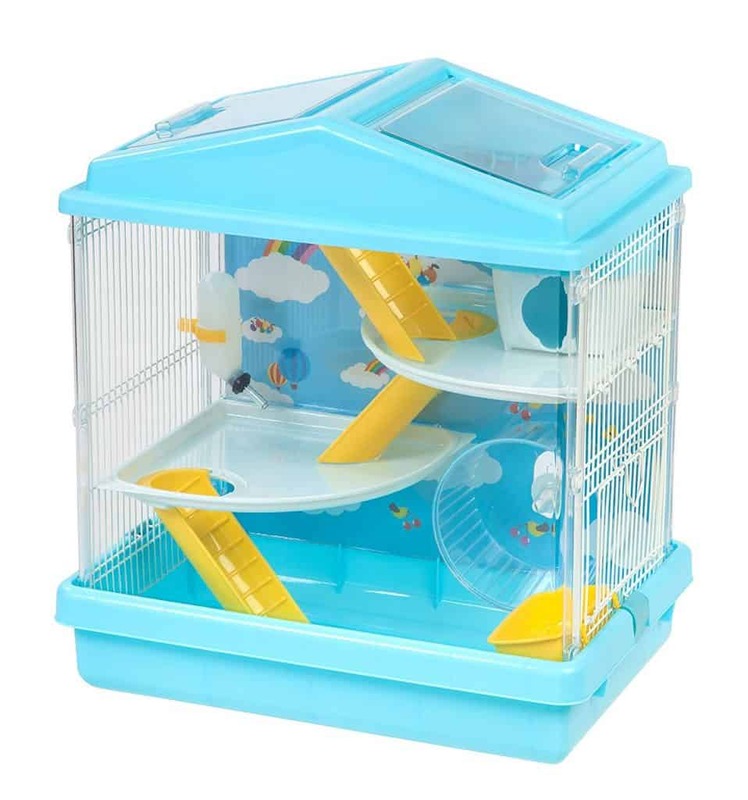 As for starter packs, the IRIS Hamster House is just about the cutest thing I’ve ever seen. It comes with a wheel, food dish, and water bottle in your choice of color. Some shredded paper, hamster food, and a furry new friend and you are set! Want your children to be further informed before making the commitment? Pick up a copy of “Hamsters” from the Animal Planet Pet Care Collection! Turtles may not be the first thing to come to mind, but they make great family pets. They are sturdy, gentle, and fairly low maintenance. Just like there are many breeds of dogs, there are many different species of turtle. Picking the right one is vital to being a good turtle owner! The recommended species for beginners is the Red Eared Slider. They stay relatively small, never growing over about a foot long. Turtles are fascinating to watch and love to adventure outside in the grass and have fun healthy snacks with their owners. Unlike hamsters and Betta fish, however, the Red Eared Slider can lives for decades! So be very sure you’re willing to put in the years required. Turtles do require a bit more equipment than some pets, but great starter kits can be found easily. 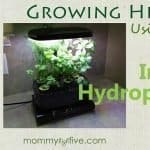 As long as your turtle gets a UVB light source, fresh clean water, and areas in their tank to crawl out of the water, they are fairly easy pets to take care of. 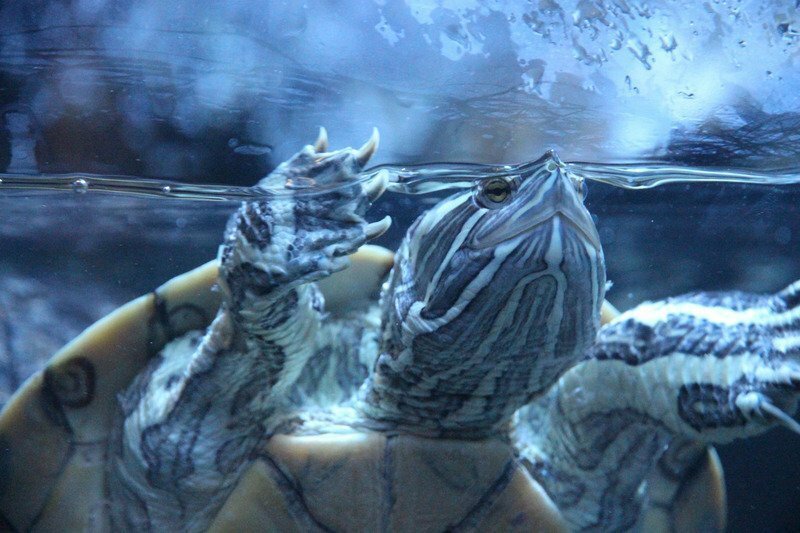 Owners can purchase readymade turtle food and at any pet store but be prepared to supplement it with green, leafy vegetables and live insects for a well-rounded diet. 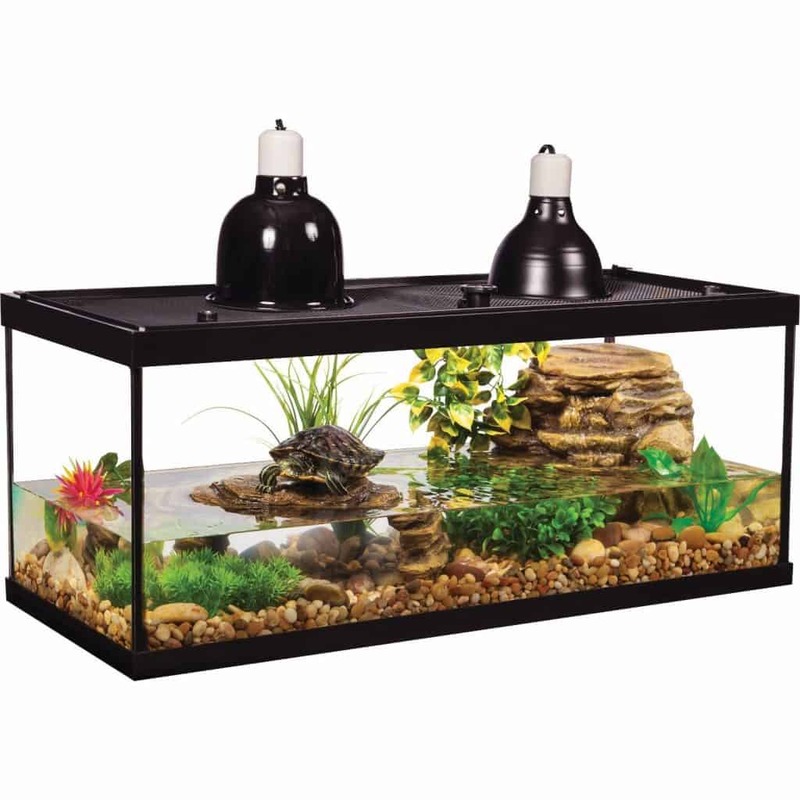 I would highly recommend the Tetra Deluxe Aquatic Turtle Kit. It comes with everything you need, unlike most kits, so you don’t have to piece a habitat together. For reading material, you guessed it! The Animal Planet Pet Care collection comes to the rescue again with a species-specific “Red Eared Sliders” title. No matter what good starter pet you choose, a new pet always brings new life and light into the house! Pets teach responsibility and time management. Teaching your children to love and care for pets can be an excellent way to spend time together, limit screen time, and remind them of the beautiful world around them. Pets, even starter pets, can spark curiosity and passion that can last a lifetime.